Efficient, effective case management software for a range of issues. Gain better insights into issues across your organisation. Organisations can face a myriad of issues - compliance issues, customer complaints, grievances and other employee relations issues, etc. Managing the associated casework can be a headache, not to mention a risk if correct process is not followed. Cases can be complicated, sensitive and time-critical. How you handle them is key to optimal resolution. Many teams we speak to are valiantly trying to keep track of cases using multiple spreadsheets and in-house systems. Reporting is time consuming and difficult, making it hard to apply any lessons learned. Workpro case management software provides a central repository for complex casework. 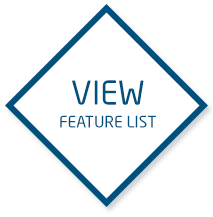 A place where you can log and manage cases, keeping track of all associated documentation and activity - everything to hand in one integrated system. Workpro uses intelligent workflow to proactively manage cases through an agreed process, so you know cases are always handled professionally and consistently, in compliance with any legislation or business policies. Advanced reporting tools provide better management information and support the analysis of issues and outcomes, so that business improvements can be made. Workpro is a better way to manage your complaints, issues, investigations and requests. It’s easy to use, easy to integrate with other systems and cost-effective. Available as a Cloud-based or On-Premise solution, it is designed to meet the needs of busy professional caseworkers. It has a wealth of tools that allow you to efficiently manage the timescales, processes and documentation associated with your casework – then easily report on them. 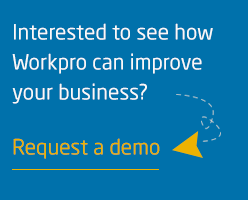 Workpro will help your team provide a better service, mitigate risk, increase productivity and reduce costs.